This is my first card with the Doodlie Do set from PTI. 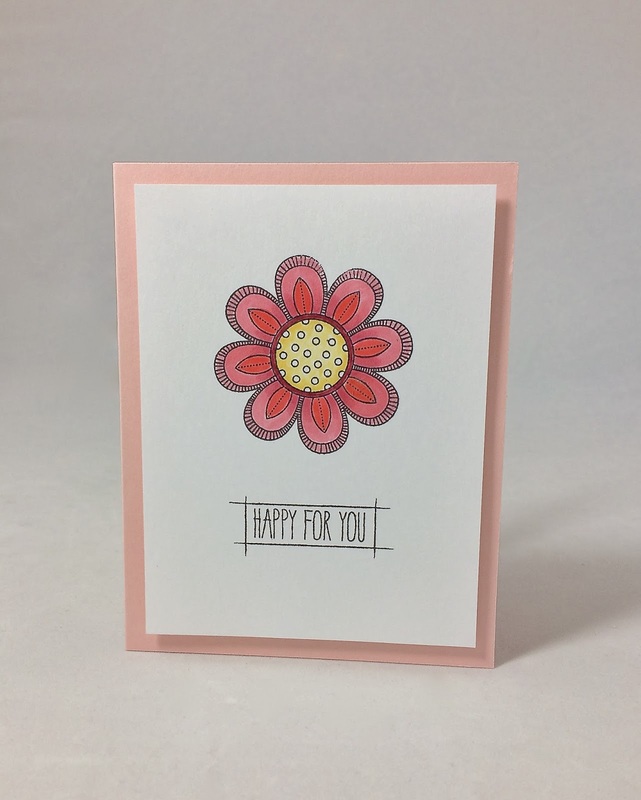 I used my old (2008) set of pens from Stampin’ Up to color the flower. I still have a lot of pink out in my craft area from last months PTI blog hop and some of it jumped on this card! This entry was posted in Uncategorized and tagged Card, PTI. aha, a masculine & feminine version…love them both! Pink who doesn’t adore pink? Lovely card! Super sweet take on the sketch! This is a great CAS card! Love how it perfectly represents the sketch!